When an illusionist is performing a card trick and makes “your” card appear in your pocket, they’ve likely used a sleight of hand maneuver to pull it off. When big companies prop up the market with hype and promises, and get rewarded with hype-justified market caps, it feels like they’re also using a sleight of hand to pull it off. But like an illusionist, you have to catch them doing their trick, and they won’t willingly reveal their bag of secrets. The good thing about reality, though, is that even the best illusionists can’t escape it. U.S. companies continued a shopping spree for their own shares in May, making $173.6 billion in buyback announcements, the highest monthly total ever, according to a research report. Share buybacks are a normal activity, but the recent record-setting pace of stock buybacks is alarming. 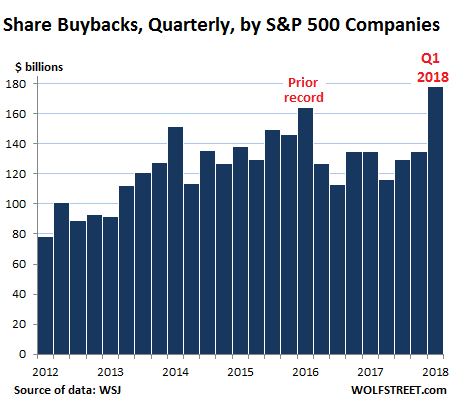 That record buyback pace is unsettling enough, but thanks to new tax incentives, in May, U.S. corporations announced the potential buyback of $173.6 billion. The corporate tax law has changed concerning the “repatriation” of “overseas cash” that represents many years of untaxed profits invested mostly in US Treasuries and corporate bonds. This “repatriation” is a one-time affair. Once this limited “overseas cash” has been “repatriated” and spent on share buybacks, dividends, and executive bonuses, it’s gone. One of the best “illusionists” is Apple. You do have to give them credit, any company that hypes a $1,000 phone where another model that costs much less does enough, certainly creates “magic” around its offerings. But that’s not the only trick up Apple’s sleeve. In their 2Q results announcement they announced the possibility of another $100 billion in share buybacks, likely because of the new tax incentives. They also announced they would complete their previous $210 billion buyback in the third quarter. 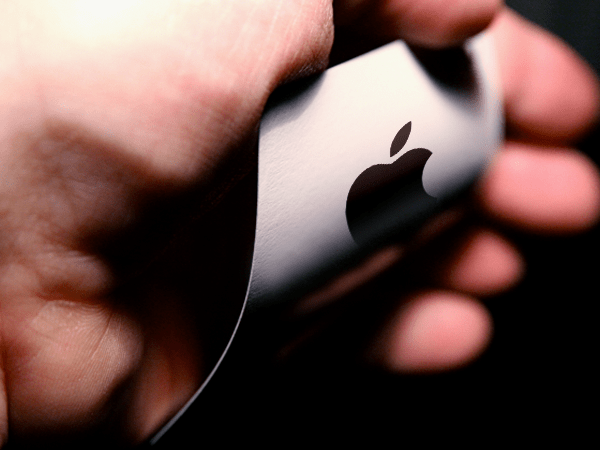 The media hype surrounding this announcement and the large dollar amount of the buyback using the one-time “repatriated funds” reported earlier in this article increased Apple’s market cap by $118 billion. It’s a sort of “rob Peter to pay Paul” move that used to border on being illegal before law changes in the Reagan administration. But in 2018, it’s another tool in an illusionist’s bag of tricks. And eventually, these severely overpriced shares will have to find real buyers, not illusionary ones. Also, because companies like Apple are using this type of “illusion” to line their shareholder’s pockets and not putting funds back into employee wages and capital investment, the economy suffers. The combined market cap of the largest tech companies (referred to as FANGMAN by Wolf Richter) is at $4.16 trillion. That means companies like Facebook, Amazon, Netflix, Google, Microsoft, Apple, and Nvidia can buy anything they want. That enormous market cap gives them enormous financial power and resources that allow them to buy anything and possibly anyone for any price, and Goldman Sachs wants to get its slice of that pie. The same fundamentals that have us heading right into a recession, led by companies that are robbing Peter to pay Paul.